Late in January I'm sharing the pulpit at our church with Jason, one of the young men in our young adults group, called "Pulse." Jason and I have been leading weekly Bible studies together, along with several other young adults in the group, for the past few years, and I've really grown to appreciate and enjoy his leadership. He's passionate about the Word and about Truth and I'm praying that preaching a sermon alongside me at our church will be used by God in unique ways in his future to minister to the Body of Christ. As you can see from the verse above, the sermon is on Matthew 5:9, the "Blessed are the peacemakers" verse in the Sermon on the Mount. In preparation, we've been studying the concept of "peace" in the Scriptures. 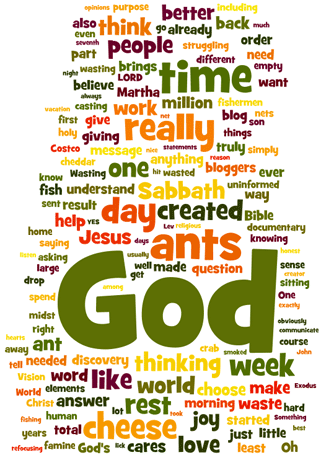 I'd like to take a few blog posts to share what I'm hearing and learning, and to see what your thoughts might be on this subject. What is the meaning of peace? Most people know that the most common Hebrew word for peace is Shalom. What they probably don't realize is the root meaning of the word Shalom: "It has been paid for." This word therefore reflects a key biblical and life truth that true peace must always come at a cost. Since time immemorial, the human race has been in conflict — brother against brother, neighbor against neighbor, nation against nation, and ultimately, human beings against their Creator. Peacemaking (which is a process and cannot happen instantaneously ... note the word "making") always involves a price that is paid (by the peacemaker) to bring two parties previously in conflict into unity. It's one of life's severe ironies that peacemaking can be a very violent process. "Officers of the peace," or police officers, as we know them, carry weapons and are authorized to use them to make or enforce peace. It is well known that the two atomic weapons dropped on Hiroshima and Nagasaki ultimately created peace and probably saved tens of thousands of lives (even as they killed thousands and wounded many more) by bringing a dramatic end to the Second World War in the Pacific Theater. Every enlisted soldier knows that he or she may be called upon to pay the ultimate price for his country, for the sake of peace. And most fathers are also willing to do the same thing to protect their families. Jesus laid His life down, shed His blood and allowed His body to be broken, to create peace between us and God. Because of the price that He paid (and not on the basis of anything we have done), we are no longer enemies of God: "But God demonstrates his own love for us in this: While we were yet sinners, Christ died for us" (Romans 5:8). So Jesus truly is our Shalom; He paid the price so that we can be reconciled to God. If peace is a result of a debt that has been paid, what does peace look like after this act of redemption? If Jesus is our Peace, then what did He mean by passages such as Matthew 10:34 ("Do not suppose that I have come to bring peace to the earth. I did not come to bring peace, but a sword.")? 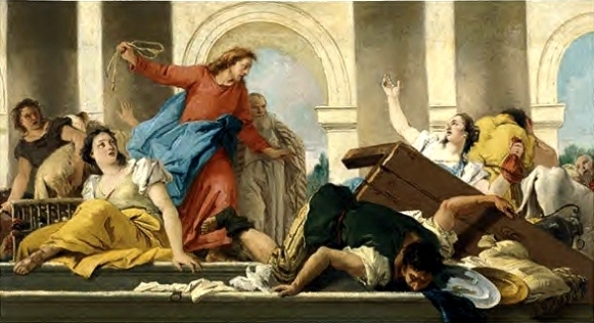 And how was Christ's role as peacemaker reflected in events such as overturning the tables of the Temple moneychangers? "Not by might, nor by power ..."
Zechariah 4:6 is my life verse not because I’m good at doing what it says, but because I’m a very “Type A” person who has a tendency to push hard to try and get things done in my own power, rather than to rely on God’s Spirit. God has convicted me of these tendencies over the years, so a number of years ago I adopted Zech. 4:6 as my life’s verse to remind myself that the only truly good things that happen in my life come about not because of any skill, strength, or brilliance I might think I have; but rather, because of “Christ in me, the hope of glory.” Every day I want to ask Him to fill me with His Holy Spirit (Luke 11:13) and to be in control of what happens.